For smaller spaces like above your kitchen sink and in the bathroom, sliding windows are the perfect solution. The sharp lines and sleek design take up a limited amount of space, and the large glass surface area provides a wide view that will allow for natural light to flood the room. Sunrise sliding windows are stylish and built to last, using advanced insulated materials and “Low-E” glass to add energy efficiency to your Twin Cities home. When properly installed by our Minneapolis area window installation team, Sunrise sliding windows will last your family for years to come. Unlike other sliding windows, Sunrise sliding windows feature a Tilt-In design that makes maintenance a breeze. All you need to do is lift the window out of the sliding track, tilt it inward, and clean. Through years of use and maintenance, the window will fit right back on the sliders and function like new. Twin Cities Siding Professional is fully certified by Sunrise to design and install these unique, sleekly designed sliding windows for St. Paul area homes. Our window installation experts have extensive experience working with local homeowners to choose the best size, color, and finish of sliding window for any room in their home. And like all of the products we install, Sunrise sliding windows come backed by an industry-leading warranty. As local Minnesota contracting company, we understand that your windows will take some abuse over the years. 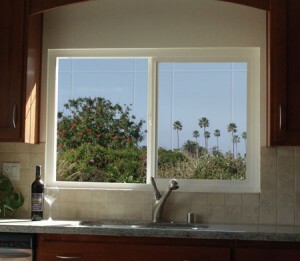 Sunrise sliding windows are up to the challenge, offering superior durability and weatherability. These windows will stand up to even the harshest Minnesota winter storms. To learn more about Sunrise sliding windows, call the Minneapolis area window installation experts at Twin Cities Siding Professionals today!